Yesterday, we posted about some dirt cheap micro air vehicles on Kickstarter. Cheap hardware is great, but to make it do cool stuff, you usually need expensive (or at least, very clever) software. 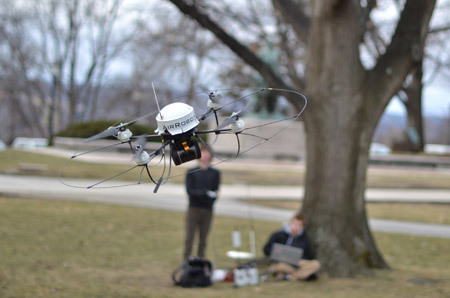 Researchers at Cornell have come up with a way to enable robotic aircraft to navigate around outdoor obstacles using just a single camera and hardware that mimics neuron architecture.